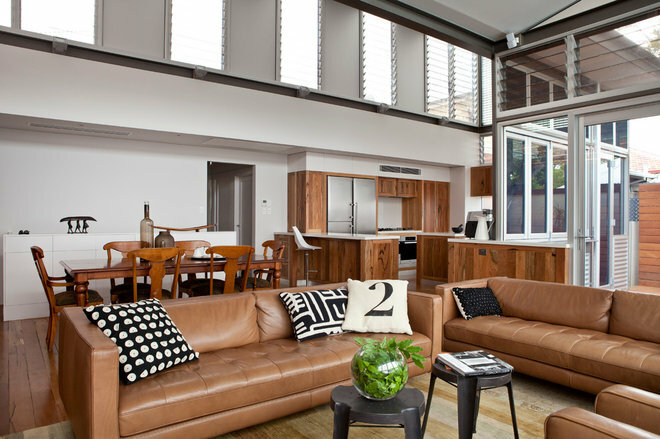 Thinking beyond the traditional timber rectangle can pay off in spades when it comes to finding the coffee table best suited to a small living room. If you have a tight space – or a tight budget – these five options will work hard to earn their spot. An ottoman can be a great investment piece for your living room – not only does it fulfil all the duties of a coffee table, it provides additional seating and a place to pop your feet up. Soft edges make it an excellent family-friendly option. Tip: To minimise the risk of drink spills and magazine landslides, sit something hard on top of a soft surface to keep the balance – a serving tray or unused chess board will do the trick. 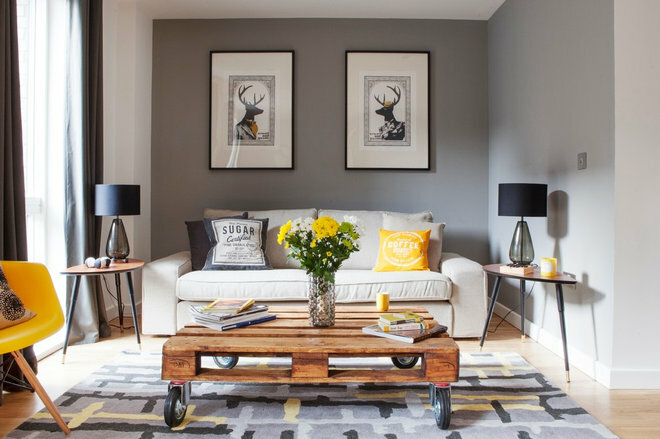 When entertaining calls for more floor space, a coffee table that can be wheeled away at a moment’s notice might be the perfect solution. A pallet and some castors can provide a fun and inexpensive upcycling project, and can easily be pushed or pulled as required. 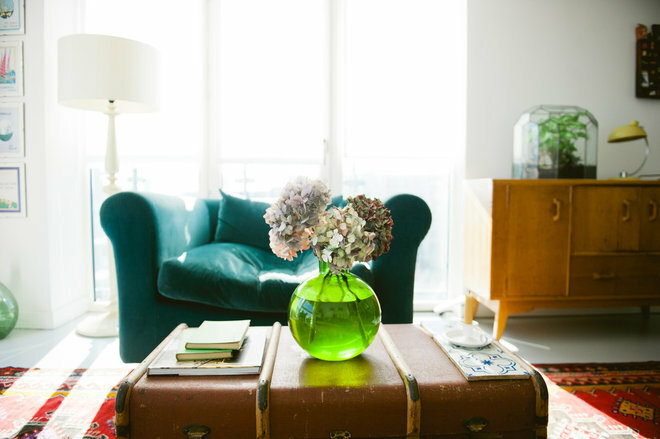 Tip: A suitcase repurposed into a coffee table not only looks unique, it doubles as storage space. Just be sure to pack away only the things you won’t need frequent access to, such as blankets, spare linen, books and out-of-season clothing. 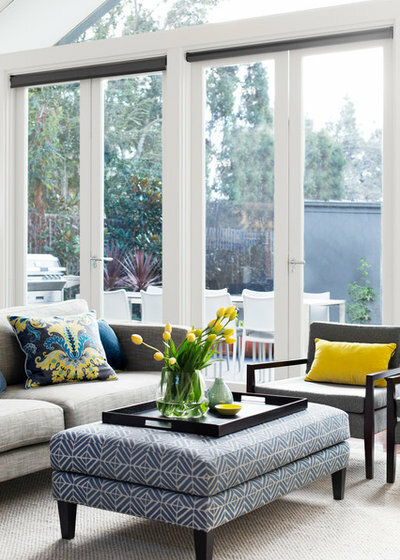 A glass coffee table is ideal for a small room – subtle and unobtrusive, it won’t block the view or draw the eye downward. Ensure you keep the surface sparkling clean and scatter around a few coasters to avoid those dreaded coffee rings. 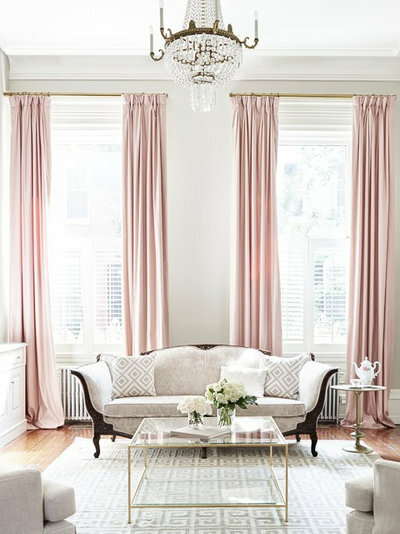 Tip: Glass is a great option when you have a stunning feature rug that you don’t want hidden under a table. Look for a fuss-free style with a lean frame – keeping decor to a minimum – for an elegant and understated option that shows off beautiful flooring. 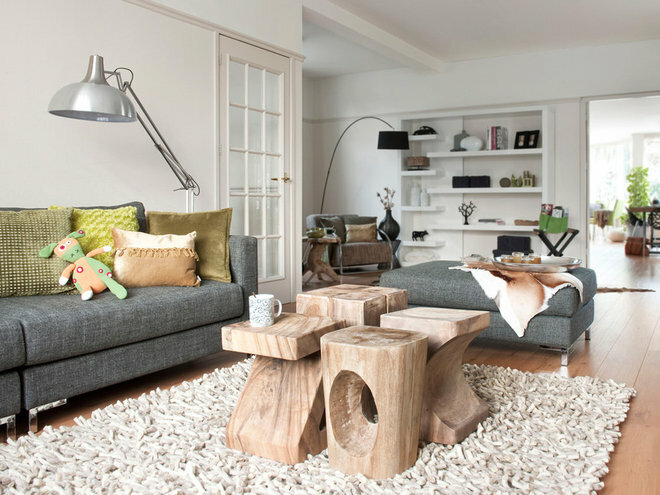 If you can’t decide which coffee table is right for you, or you’ve rearranged your living room and the one you have no longer works, why not have some stools on standby? They can be either grouped closely together or separated to suit the occasion. Tip: Don’t be afraid to mix and match shapes, heights and styles – painting all of your stools in the same hue is enough to create a sense of continuity. 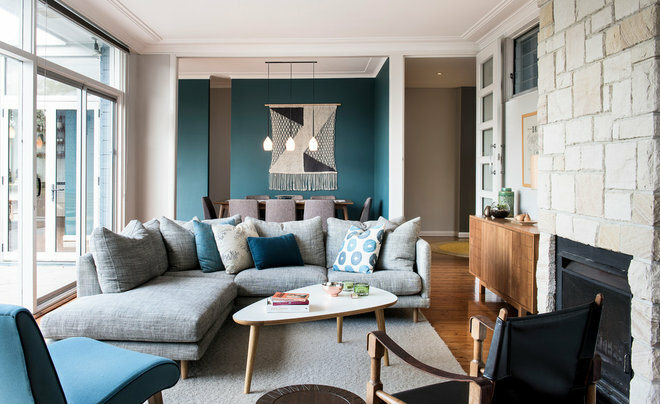 With linear shapes commonly found throughout the home, a curved coffee table can really soften a space – not to mention slide seamlessly into an awkward space. 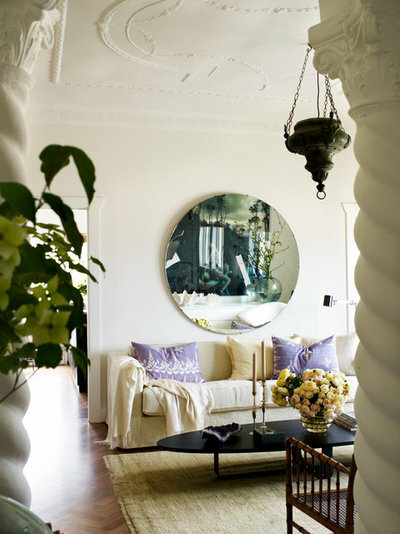 An absence of sharp, angular edges makes this a handy style for areas that are prone to shin-banging. Tip: Keep a keen eye out at your local charity store or secondhand market – you might just pick up a mid-century gem that can be given a completely new look with some sanding and a fresh coat of paint.